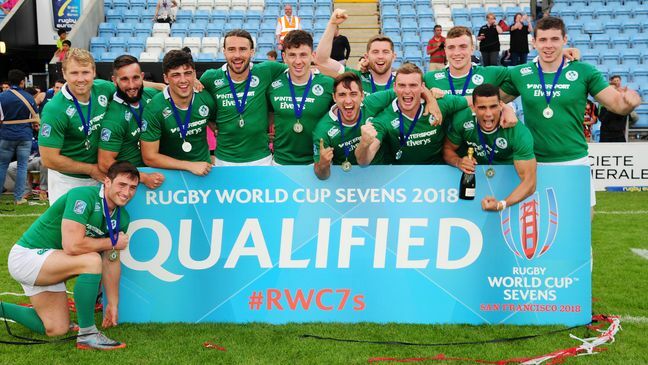 Ireland Men’s & Women’s Seven’s make history as they seal qualification for next summer’s Rugby World Cup in San Francisco. It’s certainly been a summer to remember for the Irish Sevens set up. The ladies attained their best ever finish in the world series, standing 9th and an astounding 2nd in Europe. This is the highest ever finish for this young, up-and-coming side. All this means, that they’ve booked their place in the World Cup next year, as they fly stateside, home of the famous San Francisco Giants baseball team. The men’s team finished the Grand Prix Series as runners up and reached their goal of earning a place in the 2018 RWC Sevens and also reaching the World Rugby Sevens Series qualifying tournament in Hong Kong next April. The boys in green took their chances and grabbed both. The Women’s World Cup hopes came down to the final leg of the Grand Prix as they needed to finish in the top 3 to qualify. They powered though the group stages in Kazan, but then came up against close rivals England in the final pool match. England, who were also World Cup Hunting, went head-to-head with Ireland but the girls in green came out on top, with a try in the dying seconds of the game. Following the first day, that finished with two wins and one loss, it was the second day that was deemed more important. The girls knew the significance of the concluding game. Win it and they were through and that they did! Job Done. Girls Qualified. Boys up next! 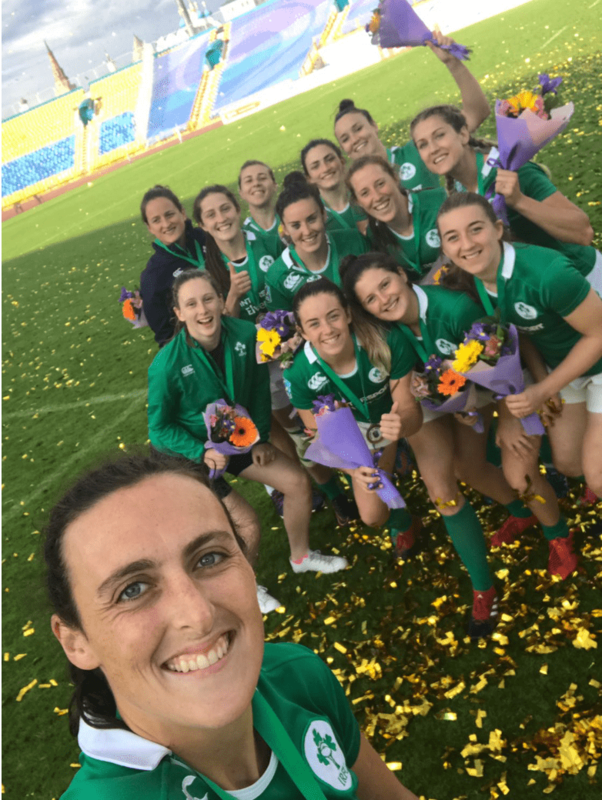 A week later, the men joined their female counterparts and qualified for the World Cup and in the process, making history as this is the first time it’s been achieved by both teams in the Ireland Sevens Programme. With the ladies last World Cup being in Moscow 2013 and the men’s being 2009, it has been a long-term goal for the IRFU to progress the sport here in Ireland. Ireland men fell just short of winning the overall Grand Prix Series title, with only 2 points between the experienced Russian side in the end. Russia, who have also qualified for San Francisco, finished top of the series rankings with 74 points, closely followed by debutants Ireland (72) and Spain (58). The men’s squad in Exeter were aged between 20 and 24, so youth is definitely on their side as they look forward to Hong Kong and the World Cup stage. The management team, Eddy and McDowell could hardly have asked for any better from these gutsy young players in recent weeks, after tournament wins in both Moscow and Clermont and third-place finishes in Lodz and Exeter. With the Sevens Preseason, just around the corner both teams will be happy to rest up and enjoy some well-deserved time off with friends and family before the demanding work starts again next season. As proud sponsor of both the men’s and women’s Sevens teams, Intersport Elverys wish them all the best in their time off – well-deserved!